If you find summer to be a monotony of events - basking in the sun, adorned in your new summer outfit, the usual coastal walk and selfies, then you're in for one adventure you should never miss before summer lasts. 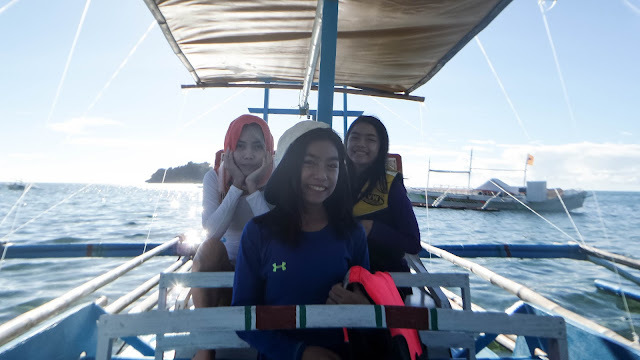 Club Balai Isabel have transformed summer from one drabness to one of excitement and adventure. Though many have already found home in the summer in Club Balai, this haven of a resort have taken summer living up a notch by not only providing sports activities but a playful spot where even adults can be kids for a day. More and more malls have been opening up and have welcomed the concept of it being a culinary destination, and there's one that I was so unlikely to visit-Ayala the 30th but hve braved the traffic with. But what really made me visit the said mall is the opening of another restaurant serving contemporary cuisines. 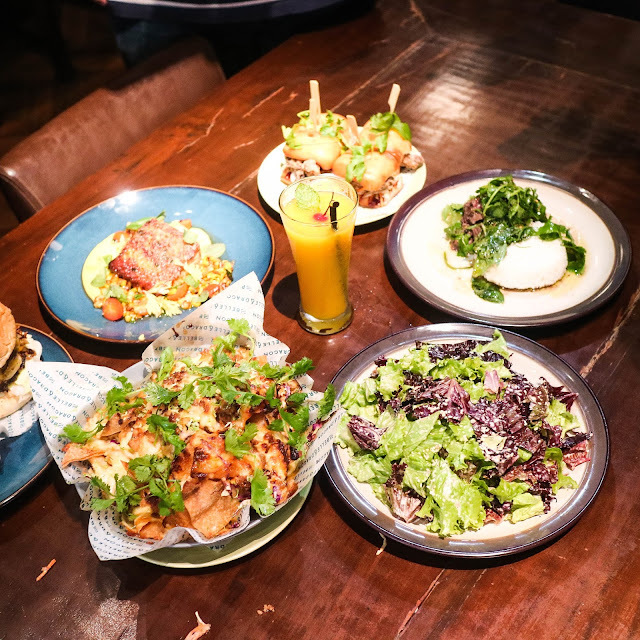 Say hello to Toast Asian Kitchen and Tasting Room. Whenever a tragedy happens at a certain place or region, the tourism gets affected the most. Like what have happened to Tanay, Rizal, after the Sitio Bayucan (Magnetic Hills) tourist bus accident. According to the local government of Tanay, it has been observed that tourist arrivals have slowed down following the temporary suspension of all school field trips in the country as a consequence of the said bus accident, which involve 15 casualties from the BestLink College. The Department of Tourism (DOT)-Region IV-A in collaboration with the Provincial Government of Rizal and the Municipality of Tanay together with the Tour and Travel Agencies, Stakeholders and Academe came up with a “WALK FOR SAFETY IN TANAY” to recapture the trust of tourists and travellers and assert the safe and secured destination of Rizal. It was held last April 5, 2017 at Epic Parc (Tanay Sampaloc Road). But on the day before, together with some media personnels, we were able to visit several tourist spots and had a look at their major roads. Contrary to the remarks made of the danger of going up the hilly roads of Tanay, it was actually a smooth ride from Manila. Our first stop was at the municipal hall of Tanay and we were welcomed by the tourism office and Mayor Rex Manuel C. Tanjuatco. When you're a mom, you can easily find simple joys in everything. But there are times life is harried, prosaic, and we need more loving and we need our lifestyle to be more eventful. 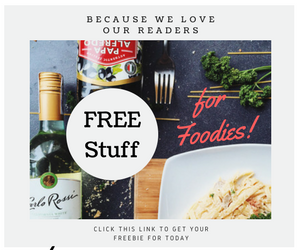 Well, if you are stuck in that notion and you want to add zest in your mom-life, or whether you're in need of a more breath-taking event for your moms or mommy friends, here is my best suggestion - THE GOURMAND MARKET, Mom's the Word. You can never be ready for the vibrant hues of summer. Whenever I here or read about summer, I think of the warm azure colors of the sea, the sky, the sand, green fronds an neons. Ooops, something went a bit eclectic there. Neons are a thing of the past, and please don't ever disgrace the fashion community you belong to donning neons while at the beach. fall perfect with whatever ensemble you decided to garb on with. When a piece of chocolate heaven was made possible here on earth, what do you do? OMG! I might not have contained myself and went on panic attack and hoarded all the chocolates I could hold in my tiny arms. Why the weird question? It's actually real, weird but real. 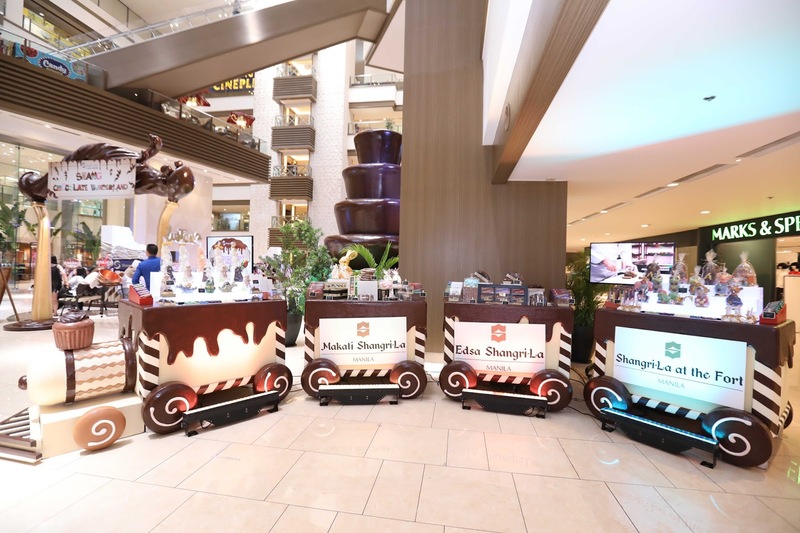 So fellow chocoholics, let us all rejoice, as Shangri-La Plaza, the metro’s top lifestyle destination, presents Shang Chocolate Wonderland. 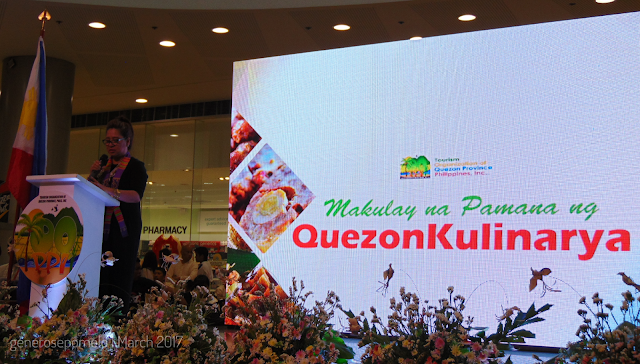 The week-long celebration kicked off last Easter Sunday, and runs until April 23 at the mall’s East and Main Atria. Chocolate has been known to trigger happiness so chocolate lovers have the perfect reason to indulge in their favorite treats. 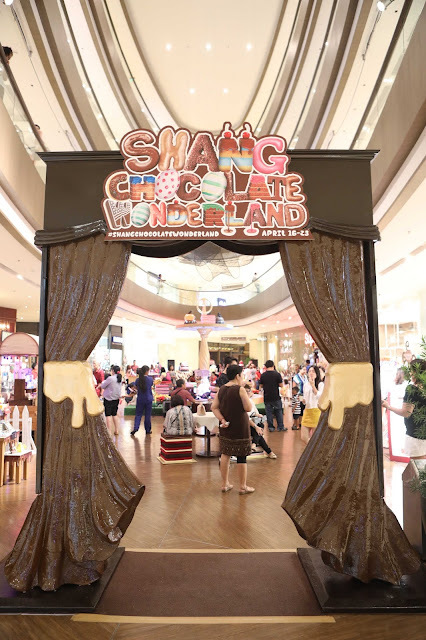 Shang Chocolate Wonderland is choc-full of fun activities, the perfect way to celebrate Easter and jumpstart the summer season. In an invitation that came through my email, I was greeted firsthand with this - "EASTER a better way to spend the end of Lent than in Krispy Kreme's Easter Fun Adventure?" I didn't get it at first but I guess I was just too excited to read through the whole email. Krispy Kreme said it best! 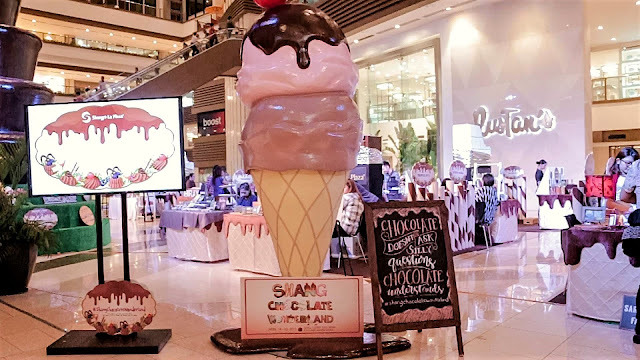 Last Easter, together with my youngest daughter, we trooped Newport Mall to see what was in store for their kiddie patrons. Right even before we ride the escalator, we could already hear the excitement and it was just what I expected, the open court had been jam-packed with kids and moms who all celebrated Easter and some were adorned with cute farm and country get-up. 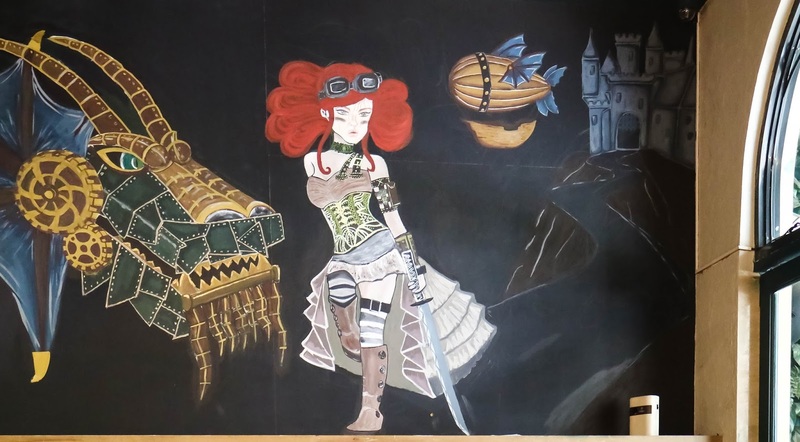 I used to think that studying Interior Design is outlandish, I mean everyone has their own style, and anyone my contradict, but I realized it isn't just about the art of it, it also has to sound practical, and convenient. I really thought it's only for the classy or rich people (but still is), but through the course of time, the idea became trendy and needed. Good thing the Philippine School of Interior Design (PSID) had been around to all these years to educate and train people who are interested and passionate in this field. The Philippines has been getting bad press recently. The country is in a number of travel advisories mainly due to the government’s so-called “war on drugs.” There are also the persistent threat of terrorism in the southern region. 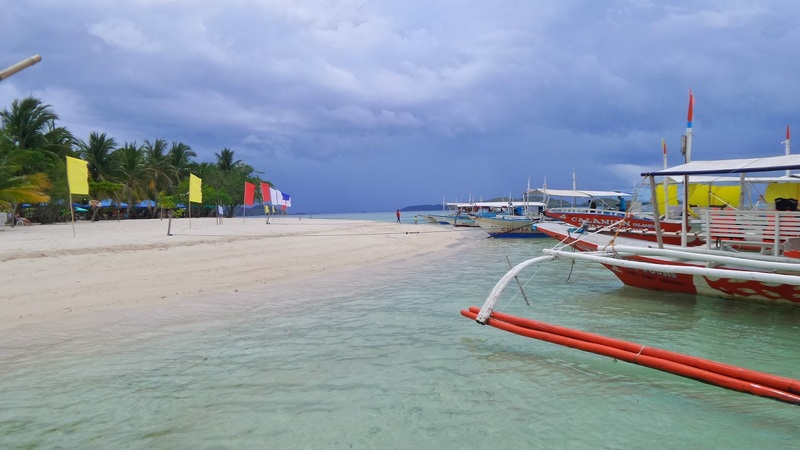 One thing foreigners must know is that the Philippines is composed of thousands of islands, including two administrative regions. While there are parts of the country where not even locals are advised to visit during certain periods, pretty much all habitable islands are safe for travel. Now, it's ready for visiting and yesterday, Tourism Secretary Wanda Corazon Teo led the opening of the newly renovated Paseo Soledad and Plaza Moriones in Fort Santiago. One of the locals who was selling Halo-halo told us that there are three caves in their island, we have only been to Bakwitan. Life in their island is really tough. Oh, let me tell you that finding these caves are much easier than finding a halo-halo vendor, as everything had to be shipped by boat from either Carles or Estancia port, also, I'm guessing not every household have a refrigerator, even the resort we're staying at. March was an eventful month for the family, following the last week of February for our marriage anniversary. 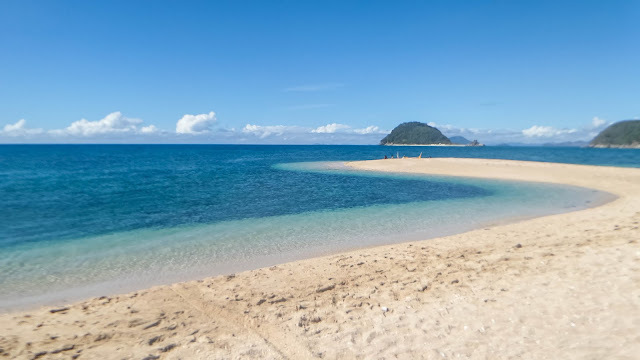 The family always look forward to a meaningful and memorable weekender somewhere in the Visayas or Mindanao regions. We don't usually top off last years vacation, because all of them were experiential and personal for all of us. Last year was at Davao and we told ourselves we needed to save up as our family is getting bigger, by the size not the number that is. That means more budget for transportation, food and travel miscellany. Conventionally, an izakaya is meant to be a pub, where Japanese would stay for affordable drinks. The "I" in izakaya is for "to stay" and "sakaya," a sake shop. For non-drinkers and fussy foodies like us (me and my hubs), places as such might not dazzle us over. Don't you just want to be zoned-out for a moment, when your mind and emotions emancipated. When you are no where, when you are no one. But I can't, coz I'm a mother. So what does a mom do just to simply have a moment for oneself away from the confusion at home, from the rending sound of the community? Leave the world behind and get lost in some islands. And since I'm still a mom (unchangeable), I couldn't just leave my family behind so I have to take the pack with me. It's cliched when you say summer is upon us, as sunny days, lazy afternoons, and cute summer outfits are far too obvious to describe it. So let's just talk about summer ensembles, and how to get away fashionably with accessorizing accordingly. Every fashionista knows that what you choose to embellish an outfit with can either make it or break it. 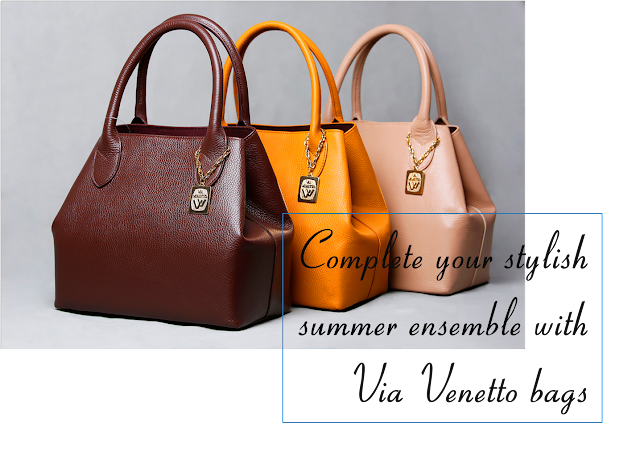 One of the most crucial additions to an outfit is the perfect bag. Do you believe that handbags say so much about an outfit and can even be a reflection of the woman donning them, plus they add that perfect pizazz to perk up any outfit. Geez! Now I'm thinking about my own choices. 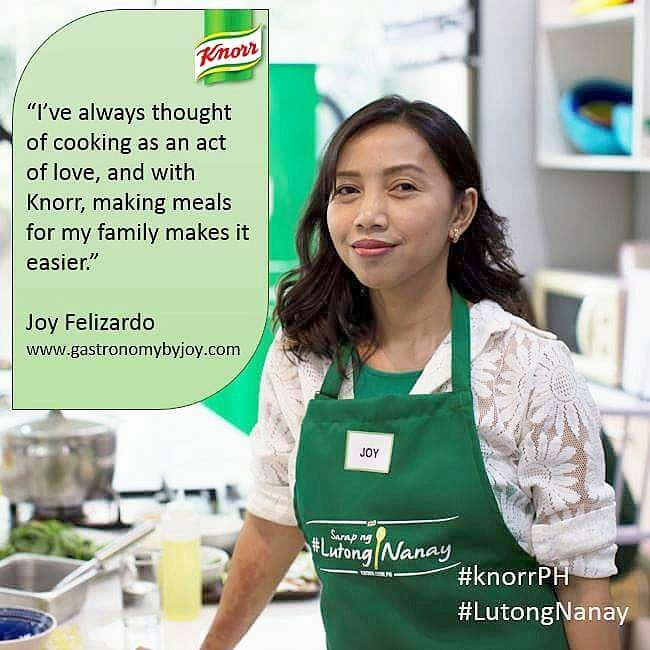 It all began with a mother's tireless duty of making and selling suman to help the family with their daily financial needs. We all know that Resorts World Manila is the first one-stop, non-stop entertainment and leisure destination in the Philippines, right? And that it features recreational thrills, world-class performances, unique events, and exciting lifestyle options. Well, in that note, they have something interesting going on with partnerships with several food establishments inside Newport Mall and RWM's restaurant as their contribution and to honor this year's Madrid Fusion Manila 2017. Resorts World Manila (RWM) welcomes the summer season with Coco Fest 2017. 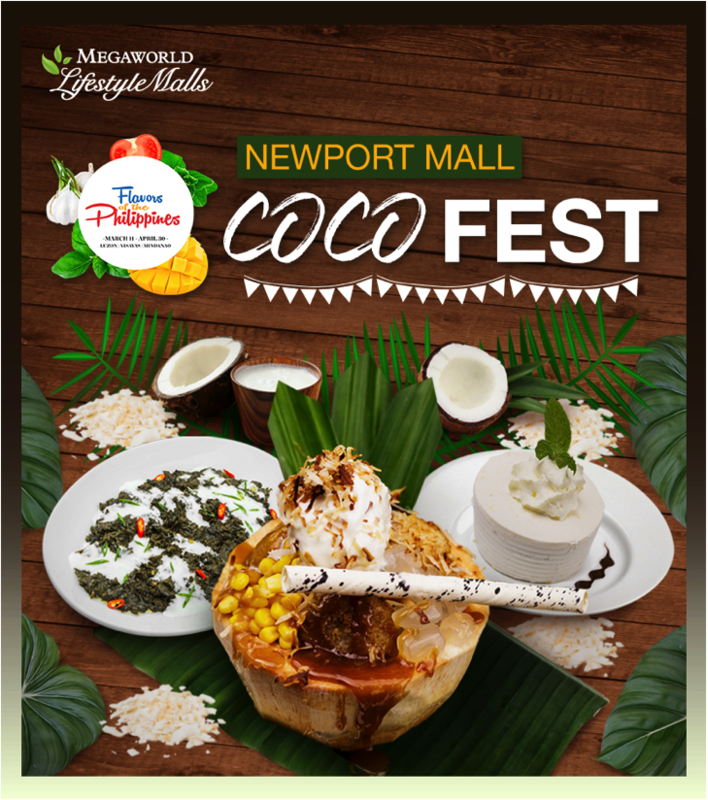 Every day until the end of May, RWM signature restaurants and Newport Mall dining outlets will thrill your taste buds with an assortment of coconut-infused dishes in a culinary celebration of this quintessentially Filipino flavor. Participating Newport Mall restaurants have an assortment of savory and sweet dishes that will open up your senses to the versatility of coconut as a cooking ingredient. Coco Fest 2017. 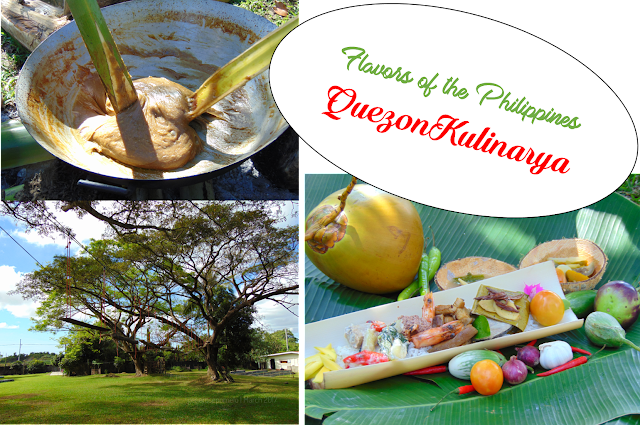 The Department of Tourism had been pushing forth with Philippine food tourism and local ingredients that are abundant, our rich culture has lots to contribute in that arena as every household carries with them recipes using coconut in it's different elements- coconut cream, coconut milk, grated flakes etc. You can see them in my old posts entitled Cultural Bites from the CALABARZON Kulinarya Tour. Thus it's high time malls get to recognize that effort as well and all thanks to the creative marketing team behind RWM. What to expect at Coco Fest 2017? Guests and diners can get a taste of island cuisine from Impressions, Ginzadon, Passion, The Terrace, Café Maxims, Bar 360, and Victoria Harbour Café, as well as popular restaurants like Johnny Kahuku, UCC, Mr Kurosawa and Johnny Chow. Impressions, RWM’s multi-awarded French fine dining restaurant, has added a Filipino flourish to a traditionally European dish with the Coco Salmon with Ube Puree and Curry Tuile. A seared salmon filet rests on a bed of mashed ube and coco foam sauce, topped crispy tuile curry. 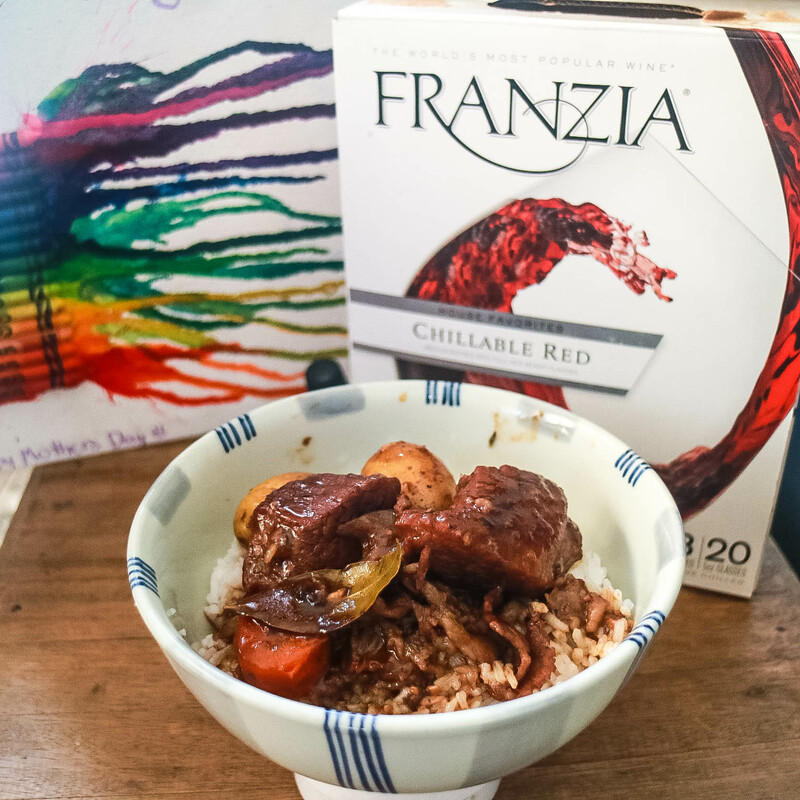 The surprisingly delightful symphony of flavors is a sophisticated diner’s dream. Johny Chow's Pomelo Salad with Coco milk vinaigrette. your taste buds dance with hints of tangy pineapples and sweet coconuts. The Coconut Milk Rice with Chicken Curry at Victoria Harbour Café at RWM’s Gaming Area is a fragrant rice dish cooked in coconut milk and pandan leaf. For dessert, Café Maxims gives a cheesy update to two classic Filipino sweets: Coconut Macaroons and Buko Pie. By weaving in finely grated cheese to the macaroons and pie, Café Maxims’ pastry chefs balance out their rich sweetness with the lightly salty taste of cheese. In a nod to the typical Asian’s love for rice, Ginzadon – RWM’s Korean and Japanese restaurant, has created a tri-color sweet glutinous rice roll with coco jam and roasted desiccated coconut. Passion’s Sweet Corn and Coconut Cake is a perfect combination of Filipino and Chinese flavors. For inquiries and reservations, contact Tourist/Visitor Hotline at (02) 908-8833 or visit www.rwmanila.com for more details. Conveniently located across Ninoy Aquino International Airport Terminal 3, RWM is an instant gateway to world-class Philippine hospitality and is home to four lodging brands, (MAXIMS Hotel, MARRIOTT Hotel Manila, REMINGTON Hotel, and BELMONT Hotel), a three-story convention center housing the country’s largest hotel ballroom (Marriott Grand Ballroom), and two more hotels (SHERATON Manila Hotel and HILTON Manila) currently under construction. Also home to RWM is NEWPORT Mall which features international luxury brands, state-of-the-art movie theaters at Newport Cinemas, an award-winning, ultra-modern Newport Performing Arts Theater (NPAT), and a cozy, 24/7 entertainment hub at Bar 360. 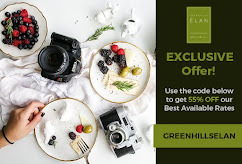 Dine in one of almost 50 restaurant outlets offering a diverse selection of local and world cuisine, prepared by top Filipino and foreign chefs and paired with a wide selection of the finest wines and popular liquors. Resorts World Manila— Nothing Compares. Pinnacle Performance delivers athletic development for professional and amateur athletes, and recreational fitness enthusiasts alike. 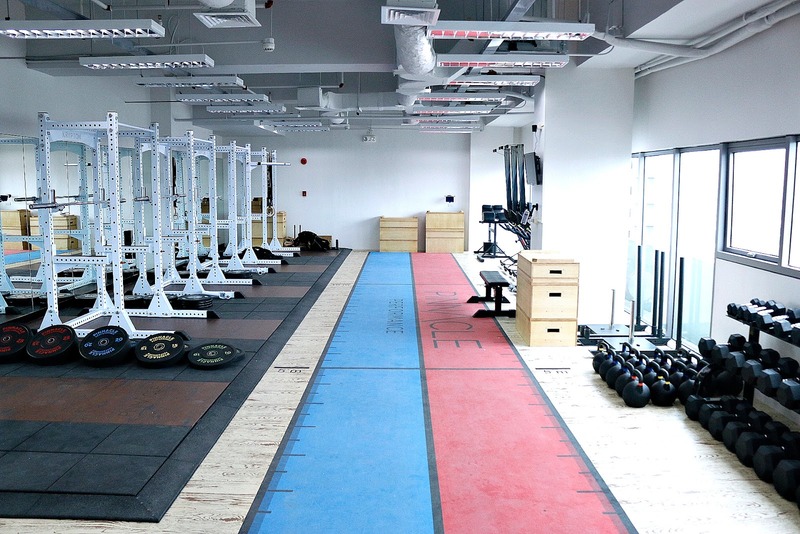 Located at the 28th floor of Centuria Medical Makati, in the heart of the Philippines’ premier business district, Pinnacle Performance delivers an unrivaled strength and conditioning environment geared to empower clients to achieve every level of performance. Feeling a little stiff on your spines and your constantly getting muscle cramps, and you don't know where to go? Well, let me answer that for you. You see, I just discovered this place in A. Venue, at the Centuria Medical Makati, to be exact. 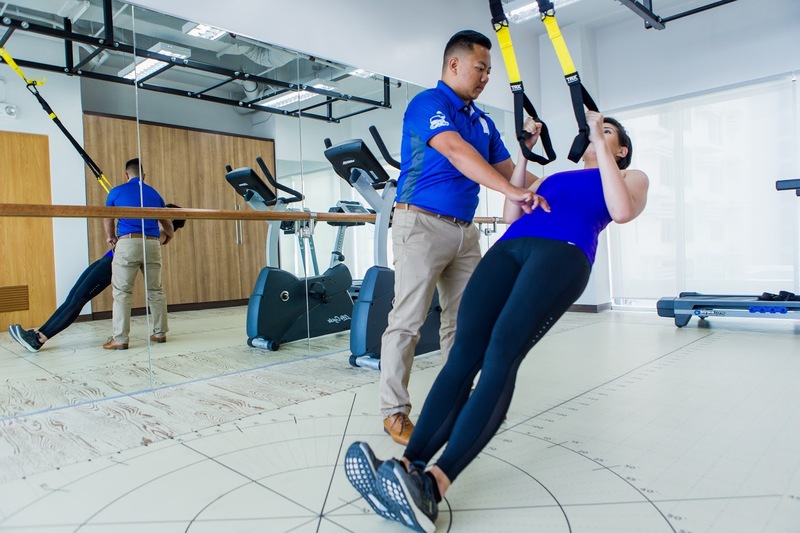 It's a physiotherapy center, which uses treatment methods that focus on the science of movement and help people restore, maintain and maximize their physical strength, function, motion and overall well-being by addressing the underlying physical issues. Last March 24, the Tourism Organization of Quezon Province Philippines, Inc. (TOQPPI) together with Department of Tourism, local government units and SM City Lucena declared the ¨Makulay na Pamana ng QuezonKulinarya,¨ a month-long celebration of local food and dining experience. Following its successful debut in the Philippines in Eastwood City in July 2016, Annam Noodle Bar is set to transport diners to the vibrant streets of Saigon in its latest location at Resorts World Manila in Pasay City, with a revamped menu bringing new rice dishes to Filipinos. 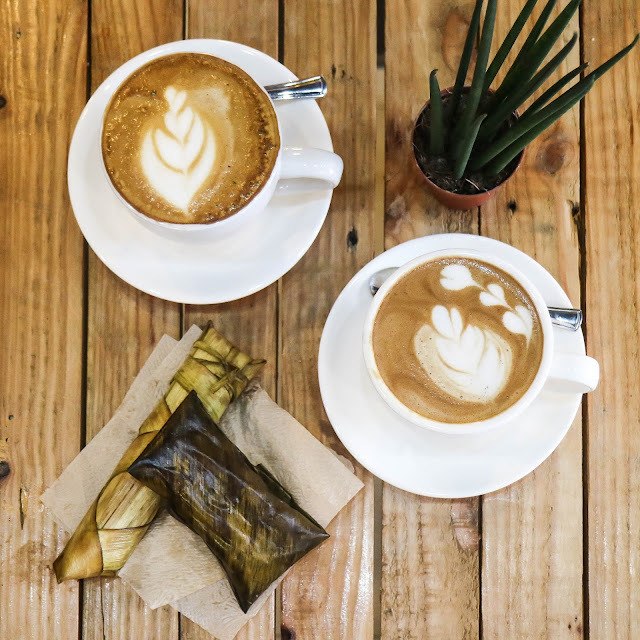 If you haven't been to Palanca Street Makati, then it's time you do. 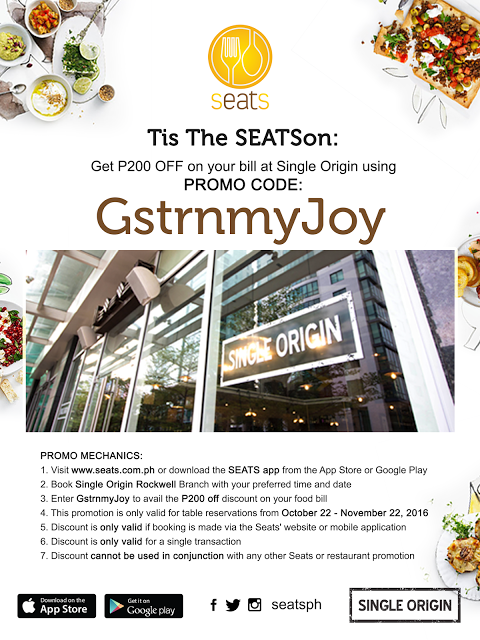 I have actually been there a couple of times but I never realized there's a nice resto awaiting to be discovered. It's identity is concealed on a building that evokes an old-world charm feel. As part of Quezon province’s invitation to come and dine in the province this summer, we got a taste of what’s in store in this culinary tour last weekend.